I love roads which are gated. I remember, as a child, playing at being the level crossing gate keeper at Eggardon Hill in Dorset. 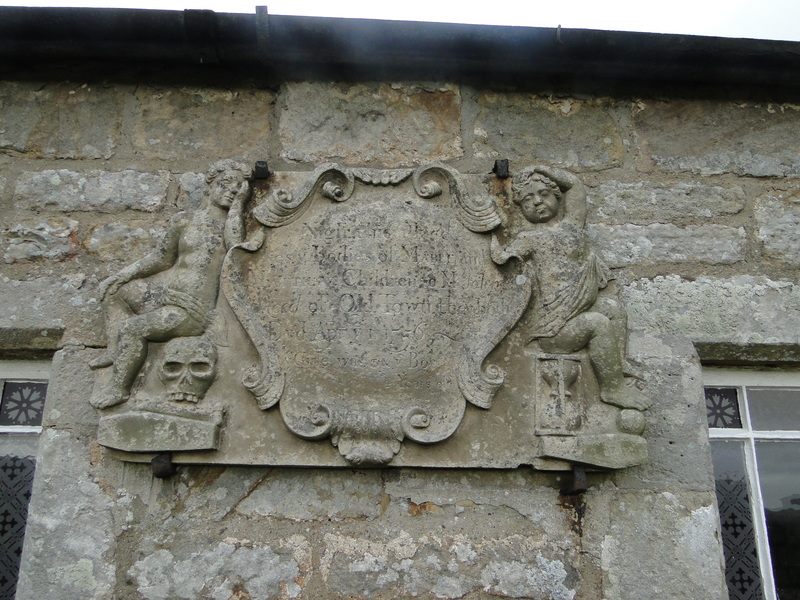 Today I leapt out of Susan’s car, presumably no self-respecting bull would argue with the Vicar! 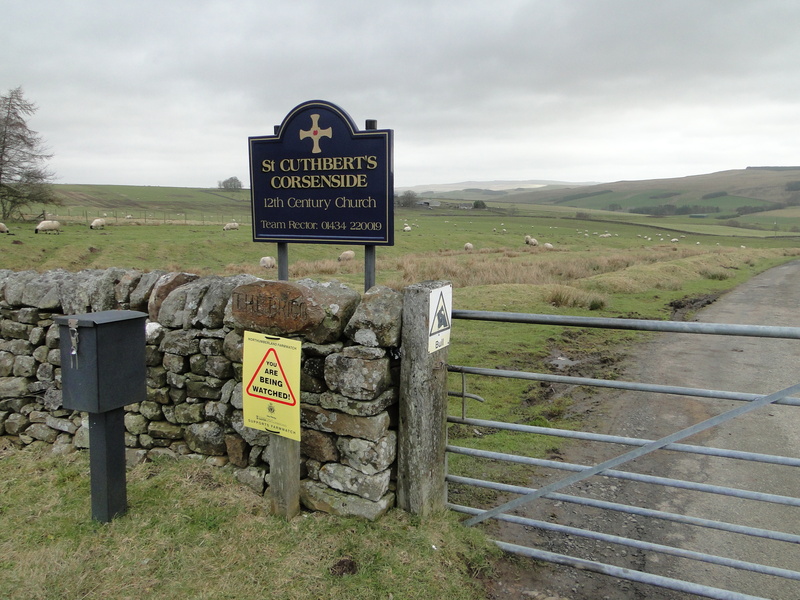 St Cuthbert’s church (NY890892) lies next to Dere Street, the old Roman road, up above the River Rede. 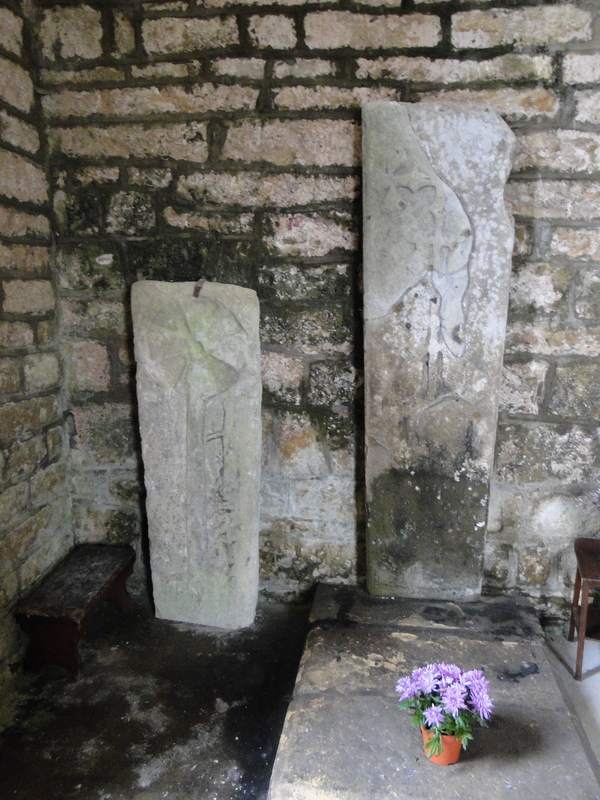 Traditionally it one of the resting places of Cuthbert in 875. 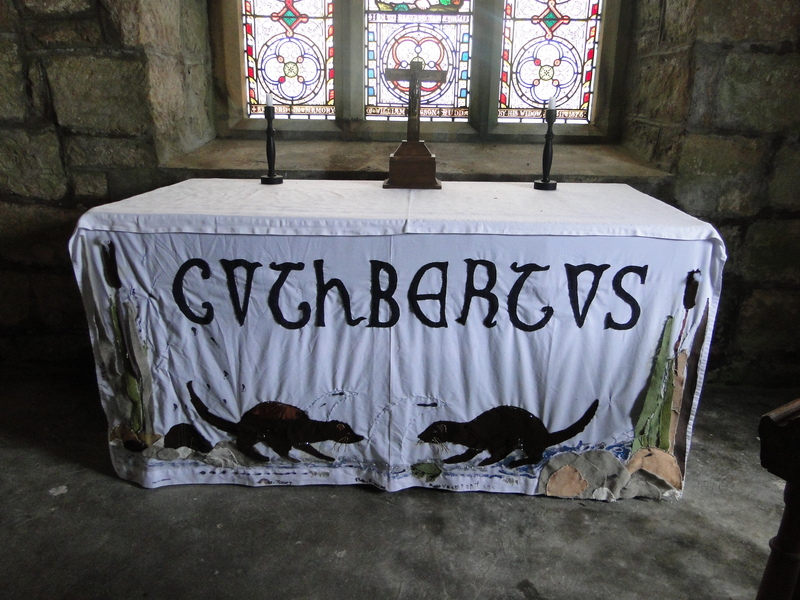 I have just found a blog about him – www.saintcuthbert.net – and remembered that Cuthbert’s body was taken from Lindisfarne by the monks when the Vikings arrived. 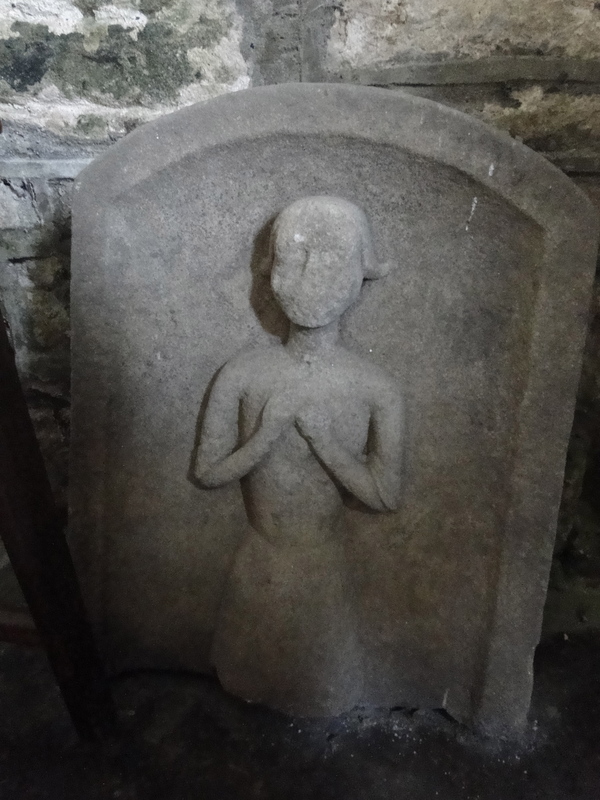 They carried him round for seven years – eventually ending up at Durham. The Dere Street is an obvious route south. 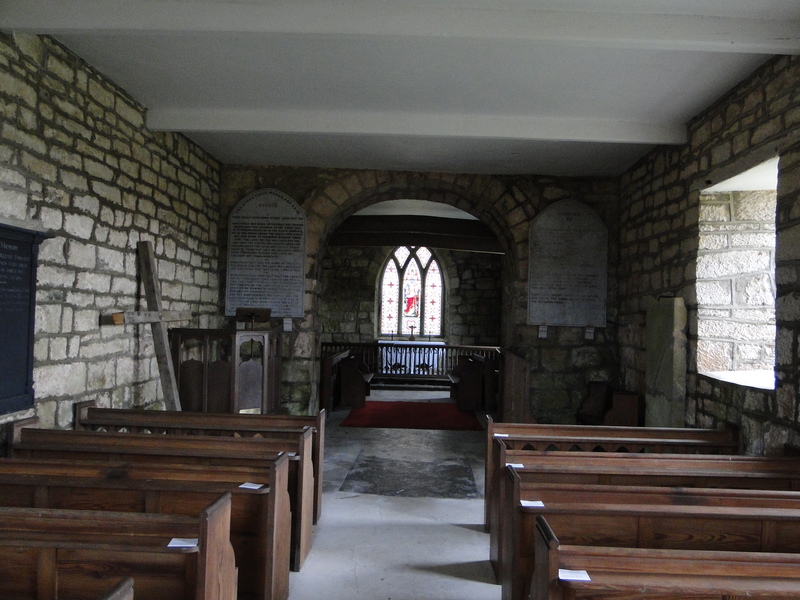 The plain chancel arch is probably the only surviving feature of the Norman church, and there are various other lumps of stone that certainly date back quite a few centuries. The East End window is pretty naff Victorian – the altar frontal is lovely. Made by the boys of the Sunday School – which isn’t a phrase you often hear. 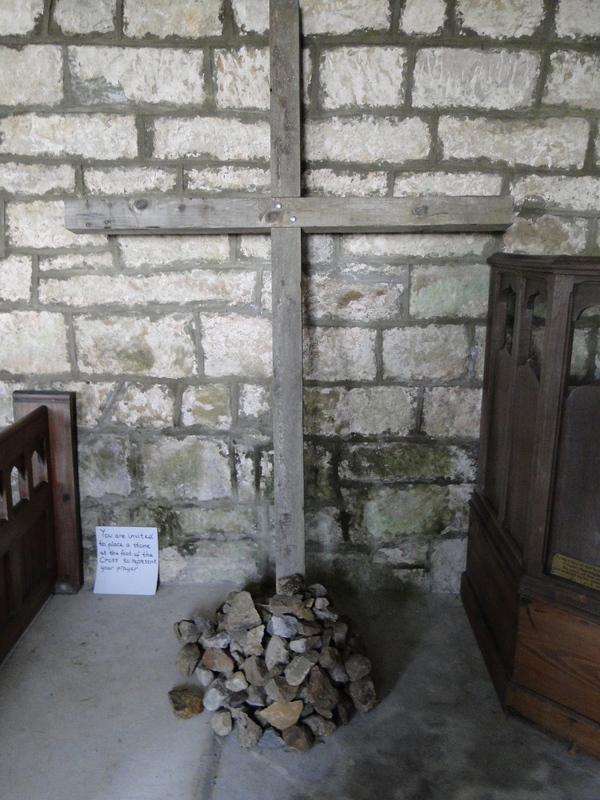 The prayer cross – place a stone at the base of the cross – is obviously popular. Memorials inside and out. What a gorgeous space to lie for eternity. I was watching the third episode of the ITV series Vera. 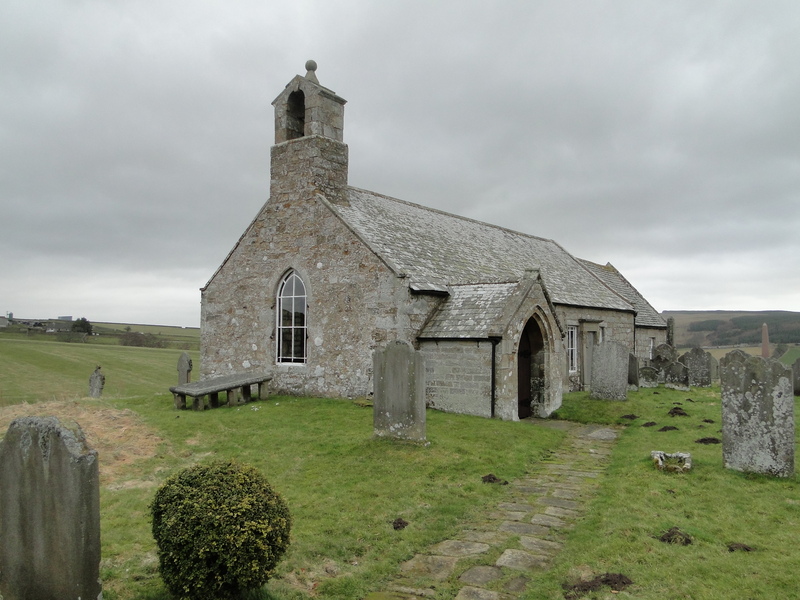 At the end, I suddenly saw a church I knew of well, Corsenside St. Cuthbert. 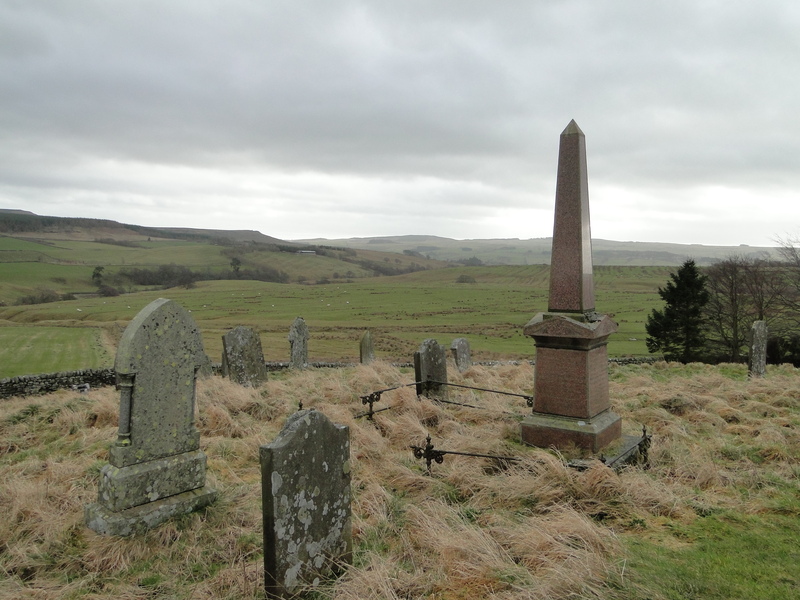 My maternal second great grandfather Sylvanus Wear is buried there and is marked with a stone along with ancestor Gabriel Hedley. I’ve passed through that gate several times, the first being during the hoof and mouth outbreak in 2001 where we had to disinfect ourselves both ways. Trying to find church records? 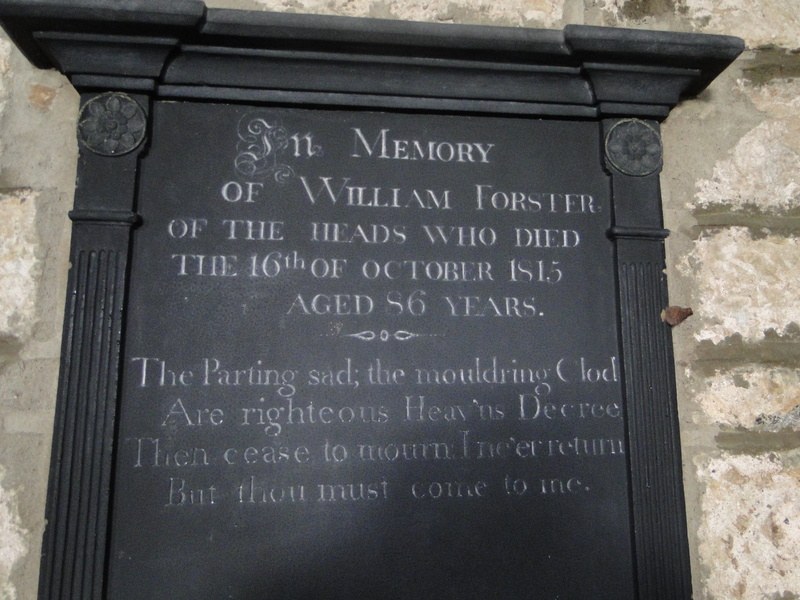 Ancestor vicar 1591 William wann?